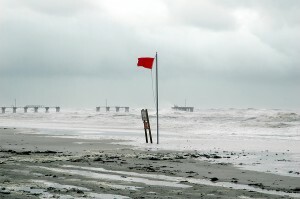 You are here: Home » About » Where Is The Best Place To Stay Safe In A Hurricane? Florida hurricanes are notorious for their incredible devastation. While many have mostly resulted in millions or even billions of dollars in property damage others have been responsible for the deaths of thousands. So where is the best place to stay safe from a hurricane? The one good thing about hurricanes over other natural disasters is their slow speed. This can also of course be a downside once they are hovering over your home, but at least you have more warning of a hurricane about to hit your Florida home than other natural disasters like tsunamis, volcanoes, earthquakes and tornadoes. Often you will have several days to prepare before a hurricane makes landfall in your area. While this is not enough time to do all the planning and preparation you need to do to stay safe and comfortable in the aftermath it does give you time to seek safety. It is important to point out that as with any weather forecast there is a margin of error and you should always plan for the worst. For example a hurricane expected to make landfall in Fort Lauderdale could easily turn at the last minute and affect Palm Beach and Miami-Dade county as well, or even march right up through the center of the state catching millions off guard. The same goes for the strength of an oncoming Florida hurricane. All to often hurricanes gain strength right before hitting the coast, so what was believed to be a category 1 storm could easily upgrade to a category 2 or 3 hurricane or higher causing much more damage than feared. If your area is given a voluntary evacuation warning it is wise to take it. Not just to be on the safe side, but if it then becomes a mandatory evacuation you will be stuck in the rush to flee and could easily get caught in a hurricane on the road while you are travelling. Those who choose to stay behind and tough out the hurricane in their homes should board up their homes or put up their hurricane shutters and find refuge indoors away from windows and doors. Upper floors are also dangerous as roofs are easily ripped off. Some may be lucky enough to have bought a new home with a purpose built hurricane room, which should definitely be used for shelter and not as a storage closet. If you do not have the funds to escape the area then local storm shelters provide a safer place to wait out hurricanes. However often these shelters can present other dangers as seen in New Orleans after hurricane Katrina when horrendous conditions and violent crimes began prevalent even in the so called shelters. If you can afford it, heading far out of the path of a hurricane is much wiser and do so as early as possible to avoid crowded roads and gas shortages. The farther the better just in case the hurricane changes directions or travels farther than expected. For example, those in Collier, Monroe, Dade or Broward counties fearing an imminent hurricane should find hotels to stay in at least as far north as Orange county and Orlando, which will at least give them several days head start on a hurricane. If possible you may even want to head out of state to stay with family and friends for a few days or until the worst is over.